Holiday Immune System Support…..The Good, The Bad and Ugly Bugs. Believe it or not, we all have TRILLIONS (with a TR) of bugs living on and in our bodies! There are good bugs, and there are bad bugs. The good bugs, also known as micro-flora, are tiny micro-organisms found primarily on our skin and throughout our digestive tract, especially the colon! These microscopic organisms are vital to our overall health, but especially our immune system. It is believed that 60-70% of our immune system is controlled by these bugs in the digestive tract. One of the primary jobs of these good bugs is to keep the bad bugs that live in our bodies under control. They also help fight off other bugs, that I call ugly bugs, that invade our bodies and can make us really sick. I call these invaders “ugly bugs” because when they attack, for at least a few days they can make the most beautiful person in the world look ugly. The bad bugs that live within us are normally kept in check by the good bugs, and if we have an adequate supply of these good bugs in our system, they will be able to destroy the bad and ugly bugs before they can do any major damage to our bodies. I recall several years ago that a cousin of mine was going on a mission trip to Africa. I told him before leaving that he needed to start taking probiotic supplements to increase the stores of good bacteria in his gut. He followed my recommendations and started taking them a couple of weeks before departing and continued taking them while he was in Africa. Upon his return home, one of the many stories he shared was particularly interesting to me. He told us that one night everybody on the mission trip became violently ill, vomiting and having diarrhea all night long. Everybody except him that is! He was the only one that did not get sick. Was it the probiotics or good bugs that made the difference? I think so, and so does he! There are numerous things in our lives that can destroy the good bacteria in and on our bodies. Antibiotics, antibacterials, anti-inflammatories, and antacid/ulcer medication. These are all medications that people consume on a regular basis that destroy the good bacteria. They are also destroyed by stress and by processed foods, two other things that are abundant in our society today! Some of the bad bugs that live within our body feed on these sugary and processed foods as well. With the stress of the holidays, all the sugary foods at our family gatherings, and hugs and kisses from relatives we haven’t seen in a while, our risk for contracting these bad bugs greatly increases. I know that you want to stay as healthy as you possibly can during the holidays, and I believe that you can increase your chances of that while decreasing your risk of getting sick by following these seven recommendations to help strengthen your overall immune system. As I said these good bugs are responsible for 60-70% of our immune health. Increase the foods in your diet that contain the good bugs – The foods I’m speaking of are fermented foods, such as yogurt and keifer and tofu. Just be sure you stay away from the fat free and sugar free varieties of these foods. Sauerkraut is another good fermented food, while Kombucha teas are a great fermented drink that does an excellent job supplying and restoring good bacteria to our bodies. If you don’t eat these foods or are unable to get these foods, then my recommendation would be to make sure you take probiotic supplements instead. Throughout the colder winter months it wouldn’t be a bad idea to take probiotics regardless of your natural intake. Cut the sugar as much as possible – As I said before, some of the bad bugs that live within our body, such as yeast, feed on sugar. I know this is more difficult to do during the holidays, but cut back as much as you possibly can. Manage the stress – Don’t let the stress of the holidays control you. You control it! Take the time each day to destress by walking, running, meditating, yoga, lifting weights, deep breathing, or whatever healthy activity calms you down. Take your vitamins – As I said earlier, the processed foods that we eat also help destroy the good bacteria in our bodies and they are almost void of the nutrients that our body needs for a healthy immune system. There are many many nutrients found in food that help support our immune system, and when we eat food that doesn’t contain any of these, we compromise our immune system. By taking vitamin and mineral supplements we get the nutrients we need to protect us during the winter months. The most important one you need during the winter months is vitamin D, the sunshine vitamin! With shorter days and less opportunities to get out in the sun, supplementation with vitamin D can be very helpful. Do not neglect exercise – I know with the business of the holidays our exercise routine is one of the first things to go. Recent studies show that people who exercise regularly are less likely to catch a cold. This falls in line with other studies that show regular exercise greatly increases immune system health! If you have any other questions about immune health please contact me by emailing [email protected] or clicking on the “Ask Dr. Phil” microphone! For years I have watched many people suffer from the pain and the crippling effects of Rheumatoid Arthritis. One thing I have observed is that the degree of suffering varies dramatically with many of these patients. I’ve seen several do very well on minimal medications, and I’ve seen others crippled and bed ridden while taking handfuls of medications. Why is this? Why do some people suffer much more severely than others? 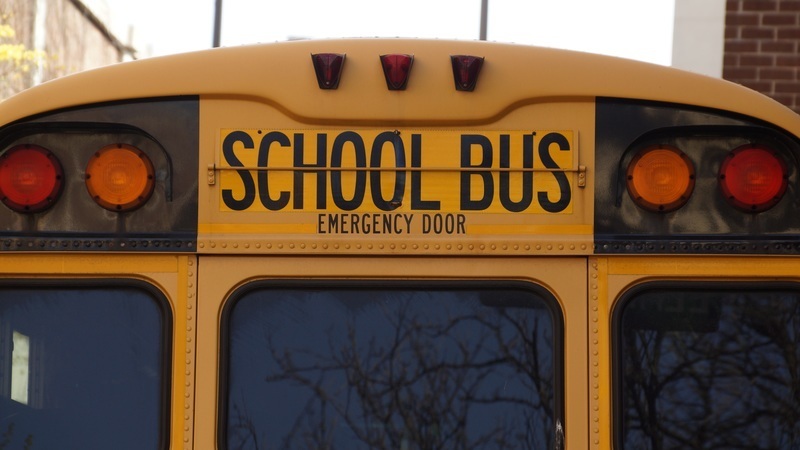 Why does this horrible disease effect people to different degrees? Well I cannot give you a definitive answer to those questions, but I will tell you what I think are the distinguishing factors as to why is there such a varying degree of pain, suffering, and complications among Rheumatoid Arthritis patients. This variance that I see in patients, I believe for the most part has to do with their total well-being. Those that have a strong spiritual life, a positive mindset and stay physically active as well as have healthy eating habits seem to fare much better with with this debilitating disease. Most people suffering from Rheumatoid Arthritis just want some quick relief, and there are many drugs on the market which can provide that, but I want to see people get more than just quick relief of their pain and suffering. I want to see the progression of this terrible disease halted, possibly even reversed, without the use of these harmful drugs. As I mentioned in my previous post, Rheumatoid Arthritis is an autoimmune disease. Therefore I believe if you want to see optimal relief of the symptoms of Rheumatoid Arthritis, you must start with balancing the immune system. 15 years ago a doctor from Savannah, Georgia, Dr. Carson Burgstiner, set out to find what he called a cure for his autoimmune condition. I don’t know if you can truly call it a cure, but he did find what he was looking for, supplements that actually did restore balance to his immune system. Not only did he help himself, but he helped many of his patients also suffering from autoimmune diseases. His story has been documented and you can read about it in this article profiling Dr. Burgstiner several years ago. This disruption in the immune system that happens in the cases of autoimmune diseases, whether it Rheumatoid Arthritis or any of the other Rheumatic conditions can be caused by numerous environmental factors, as well as allergenic foods and substances consumed in our daily diets. Dr. Johnathan Wright from Tacoma, Washington, has written much about this, and you can find his suggestions and recommendations by following this link. As a sufferer of allergy problems myself, I believe Dr. Wright is spot on with what he suggests about the effects of certain allergenic foods on our immune system and how they can trigger and worsen the symptoms of Rheumatoid Arthritis. It’s about this time every year where a scene like this one transforms from a beautiful landscape into a minefield of coughing, sneezing, and itching and watering eyes. This year is no different than any other. The pollen is blowing in the air, fresh grass is being cut, and people are spending millions on antihistamines and other allergy medicines. You yourself, or someone you know, may be half asleep or bouncing off the walls from the side effects of these medicines. Many of you may be thinking, “yes, I hate the way this medicine makes me feel, but what else can I do?” Well I’ve always maintained that the best defense against allergies is a healthy immune system. Today I want to talk a little about some immune system building products that I take myself and recommend to my patients on a regular basis. The first is Enzymatic Therapy’s Thymuplex, and the others are Standard Process’ Thymex and Immuplex. What is the link between allergies and your immune system? Well I’m glad you asked. Your body is constantly fighting off invasions from viruses and bacteria (known as antigens), such as the flu virus or common cold virus. Your immune system releases antibodies to fight these antigens constantly and each antibody is specific to the type of antigen it is designed to neutralize. Your body sees pollen, mold, pet dander, and other allergens as invaders and releases antibodies to fight them off. When you continually come in contact with these elements your body begins to release powerful chemicals called “histamines” which cause runny noses, watery eyes, and most seasonal allergy symptoms. If for some reason our immune system becomes weakened, it makes it more difficult to fight off the histamine producing invaders. The master gland of your immune system is the Thymus gland, and these products help support the Thymus gland by helping it produce bacteria and viral fighting cells to protect our body against invaders. I have been using at least one of these products for the past several years and I have less problems with seasonal allergies than I’ve ever had in my life. 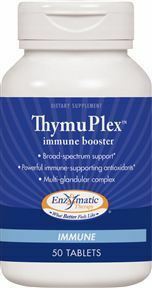 ThymuPlex™ contains vitamins, minerals, glandular and herbs (including Echinacea) essential for your immune system, white blood cell functions, and thymus gland activity. It provides thymus gland extract “predigested” that is already broken down for use by the body. It also includes these glandular ingredients: spleen extract and lymphatic extract and enzymes: trypsin, papain and bromelain for protein digestion. Thymex supports the thymus gland with bovine thymus Cytosol™ extract. It supports a healthy thymus gland, the master gland of the immune system, and can be used in combination with other immune support products. Thymex is also a good source of antioxidant vitamin C.
Immuplex contains phytochemicals, minerals, as well as Protomorphogen™ and Cytosol™ extracts to support the immune system. 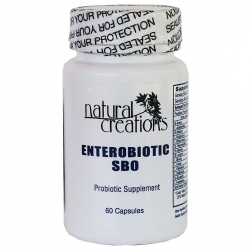 Taken daily, it supports a healthy immune response function, and helps maintain normal white blood cell activity already within a normal range. Immuplex also supports the body’s normal response to inflammation as it relates to periodic challenges like consumption of a high-fat meal or strenuous activity. It provides photochemicals with antioxidant activity and broad mineral support for everyday immune function. For some further alternatives to antihistamines, check back with us later this week for our blog on natural antihistamines and homeopathic products for seasonal allergies. If you have any questions about the products discussed today please contact me using the contact form, clicking the Ask Dr. Phil microphone, or by leaving a comment below.